Swedish Covenant Hospital and Family Tree Resale are organizing a donation drive to help families displaced by a Rogers Park fire. 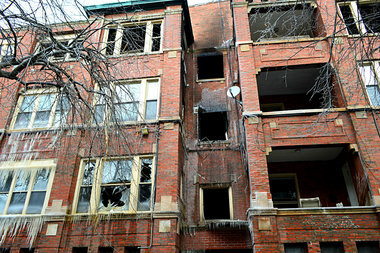 LINCOLN SQUARE — In a show of support between neighborhoods, a pair of organizations in Lincoln Square are lending a helping hand to victims of a recent apartment building fire in Rogers Park. Swedish Covenant Hospital, which treated four of the firefighters injured in the blaze, is partnering with Family Tree Resale to provide families displaced by the fire with clothing and other essentials. Family Tree Resale, 5066 N. Lincoln Ave., operates a unique program in which donations and purchases made in a partner's name earn vouchers for free merchandise. Through Feb. 14, anyone who donates items to Family Tree and mentions Swedish Covenant will earn points toward vouchers that the Rogers Park fire victims can in turn use to purchase clothing and household goods. The fire, which broke out Jan. 11 at 1700 W. Estes Ave., left seven units in the apartment building uninhabitable and damaged another nine units. Among those left homeless by the blaze were several refugee families, including one family that had arrived in the U.S. a year ago after fleeing war-torn Syria.